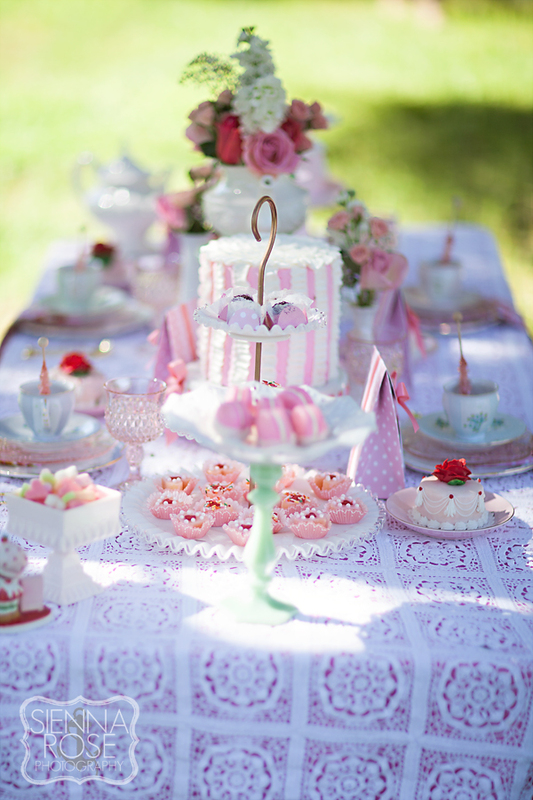 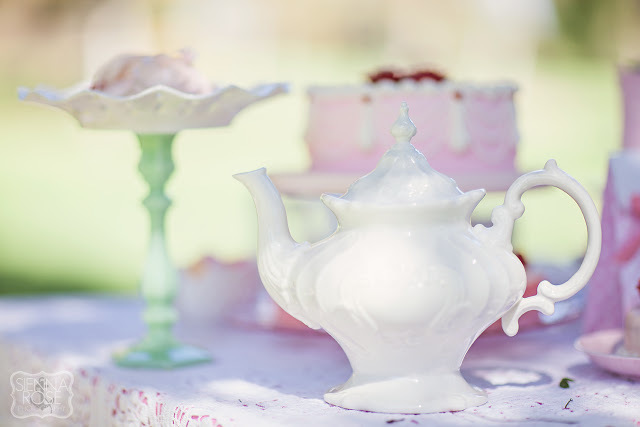 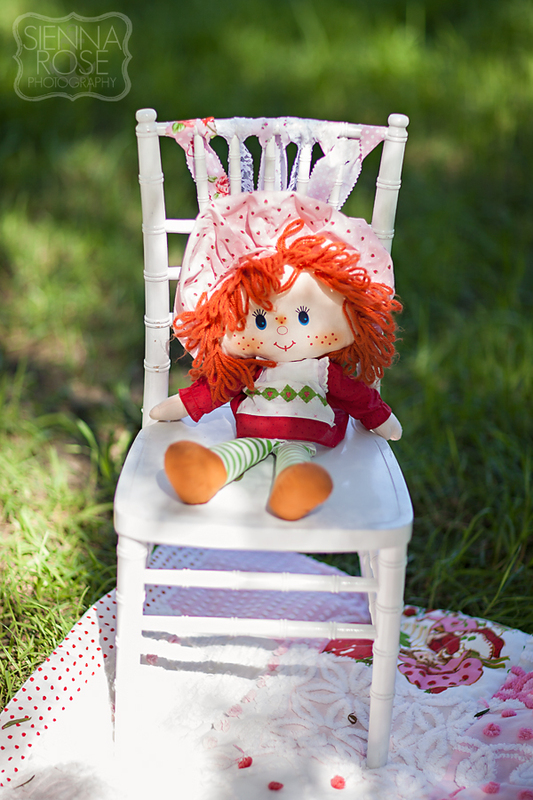 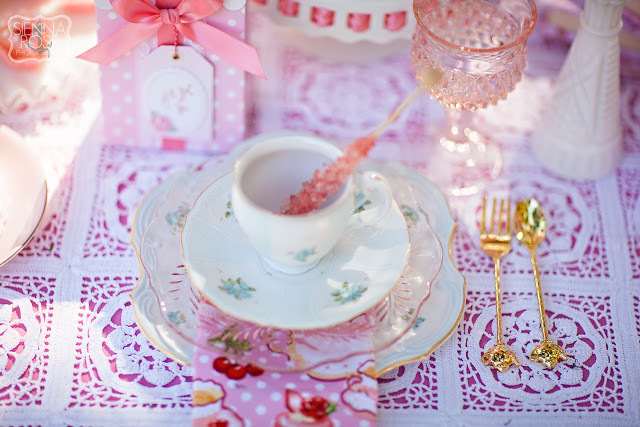 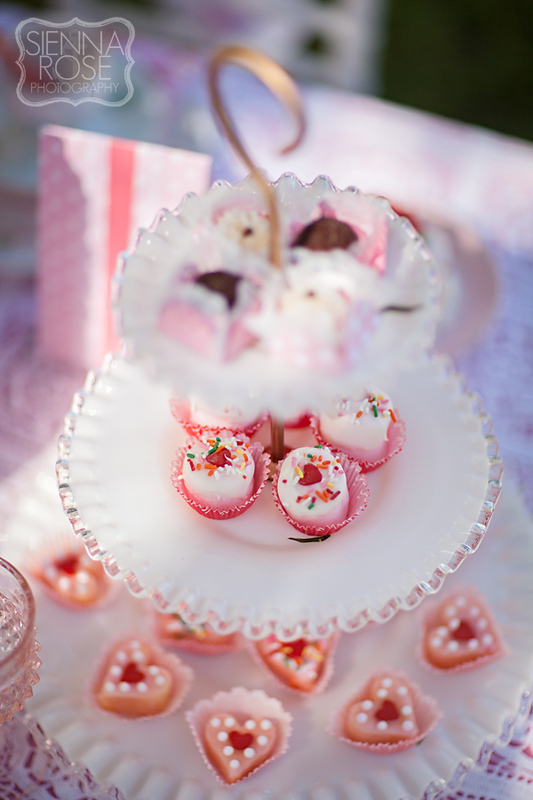 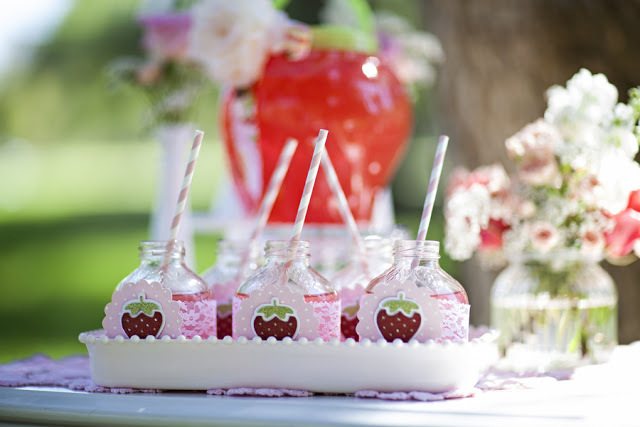 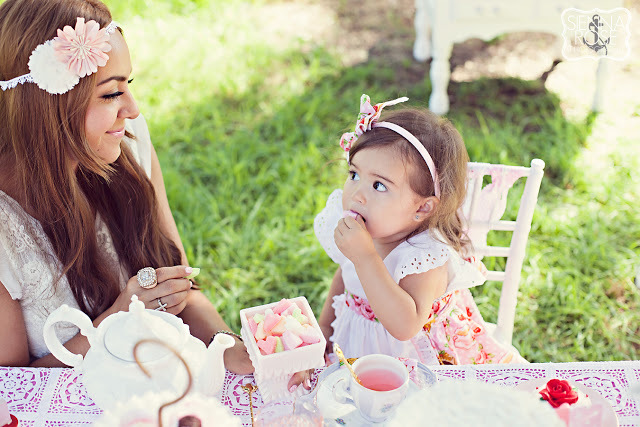 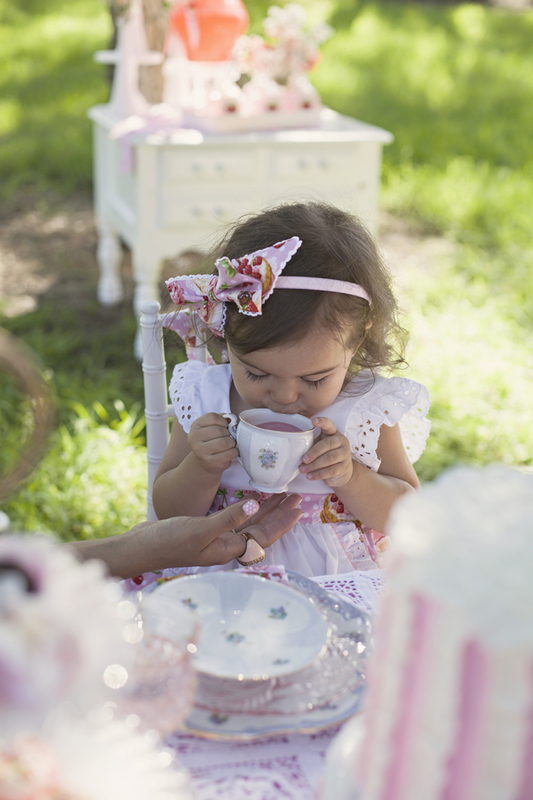 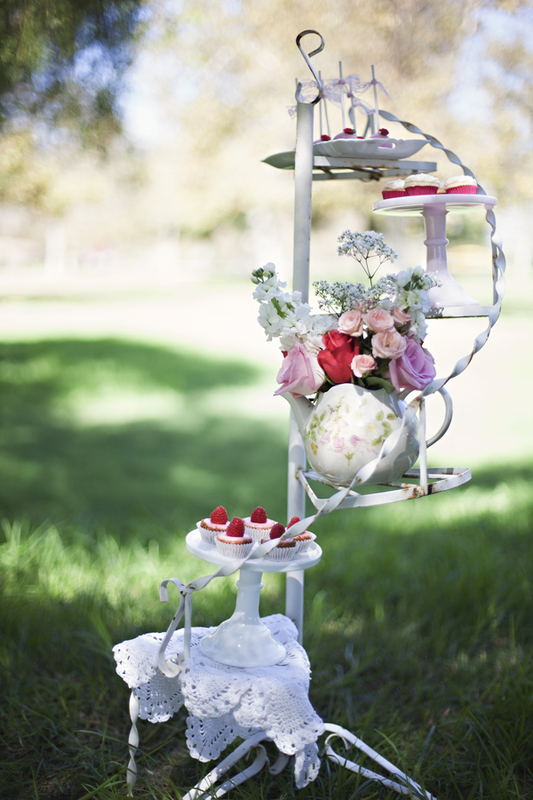 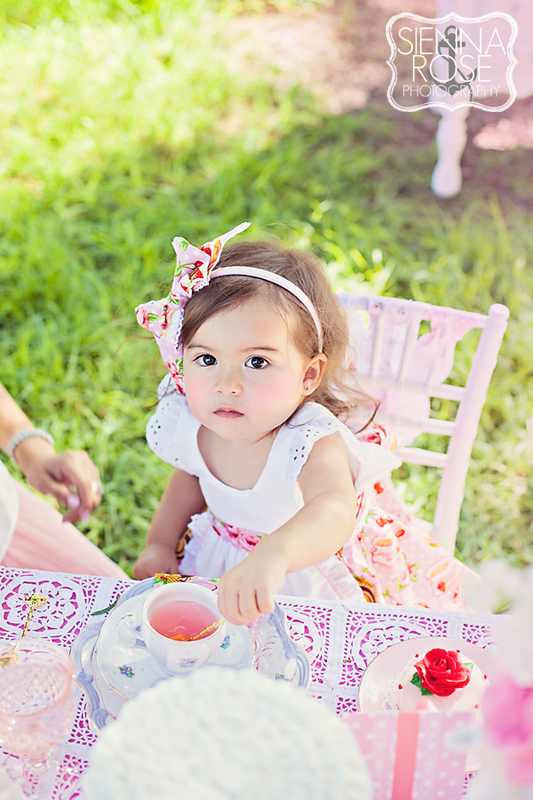 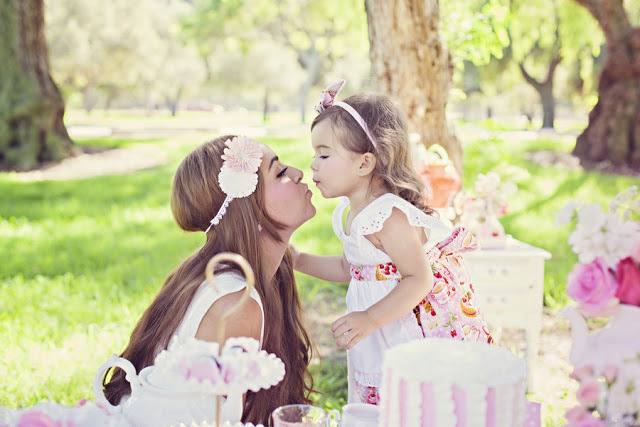 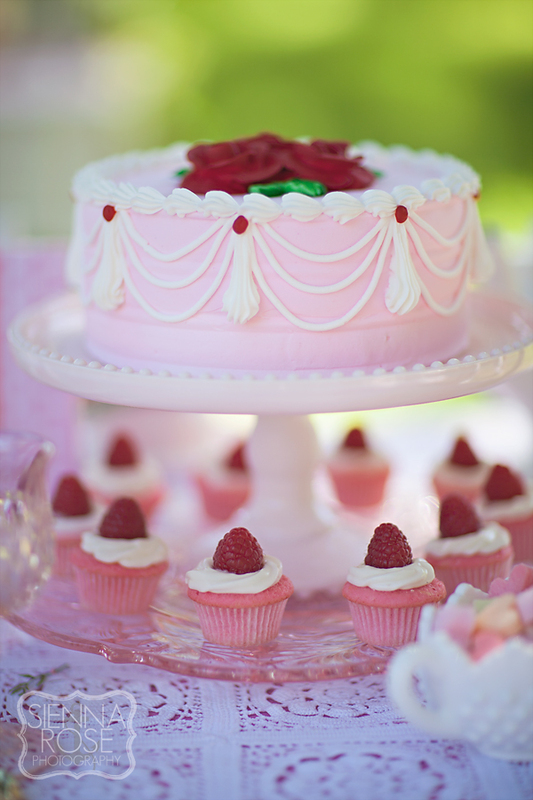 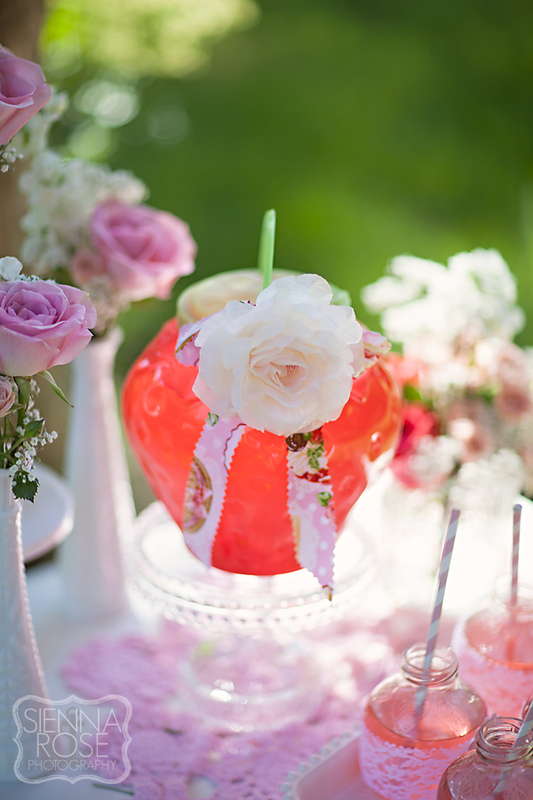 To all my mommies with little boys, you might want to cover their eyes because this Strawberry Shortcake themed tea party is nothing short of frills and finery. 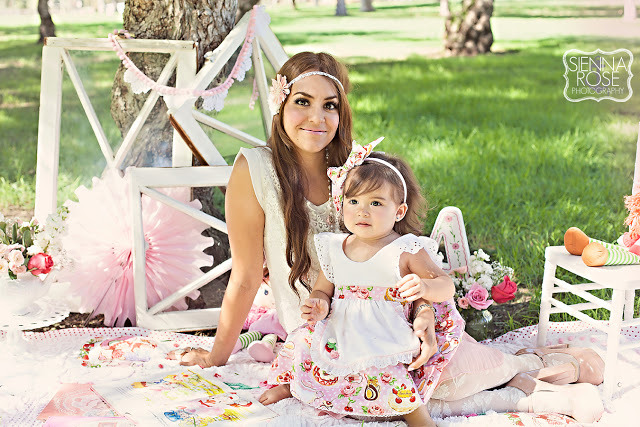 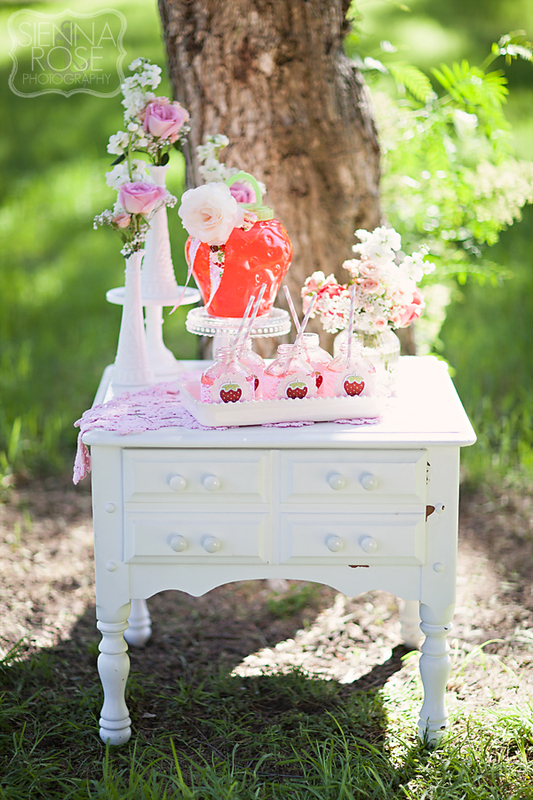 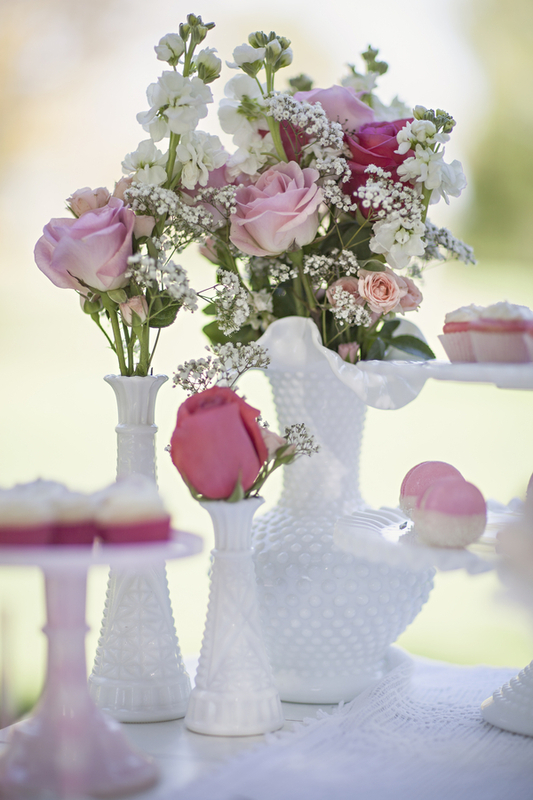 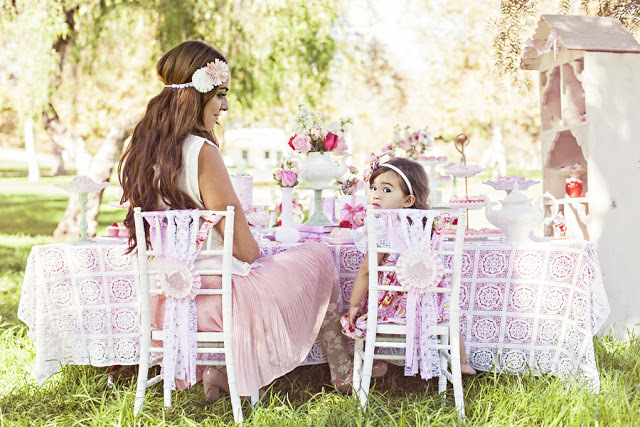 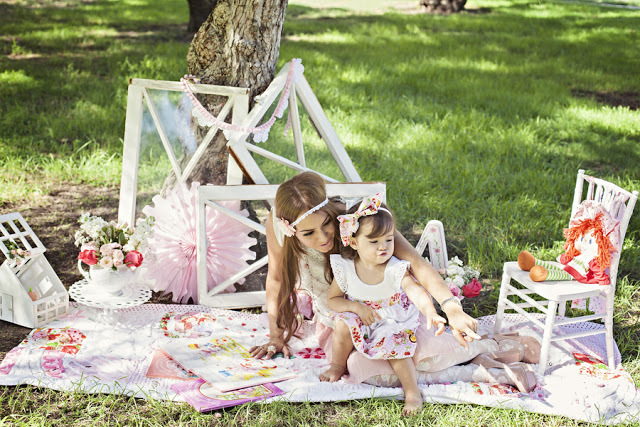 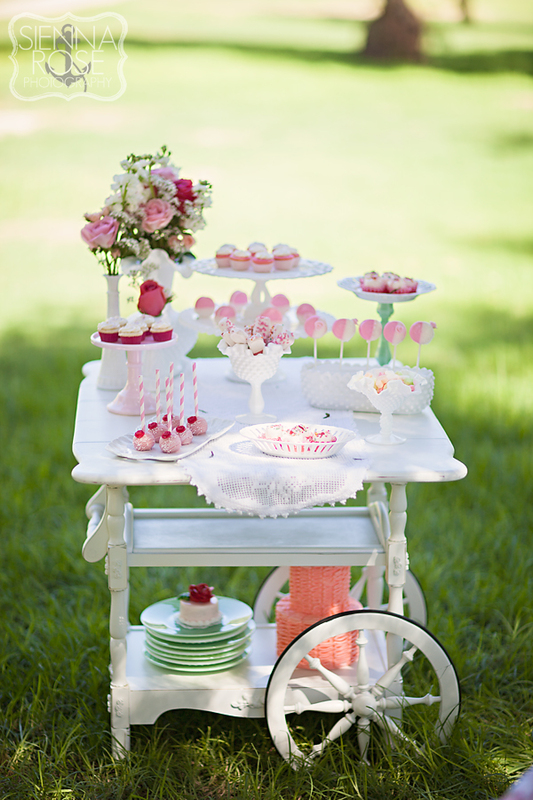 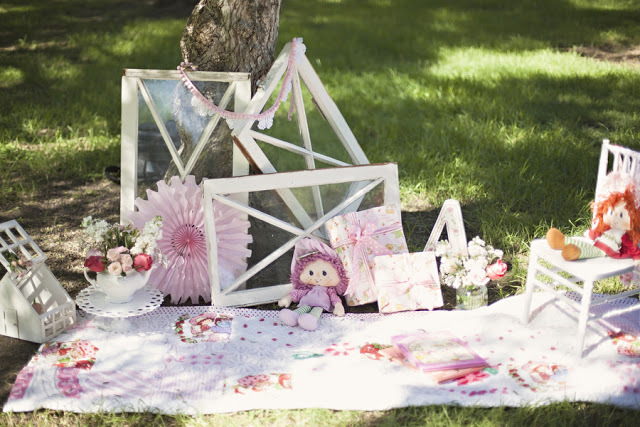 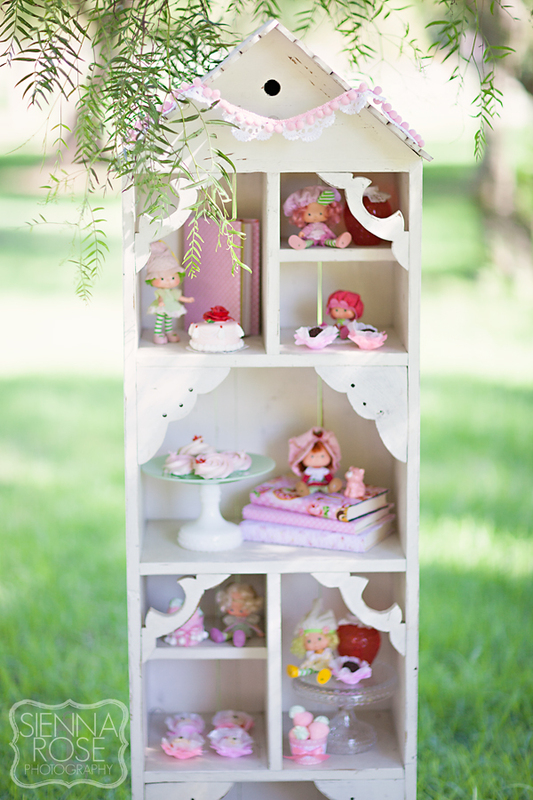 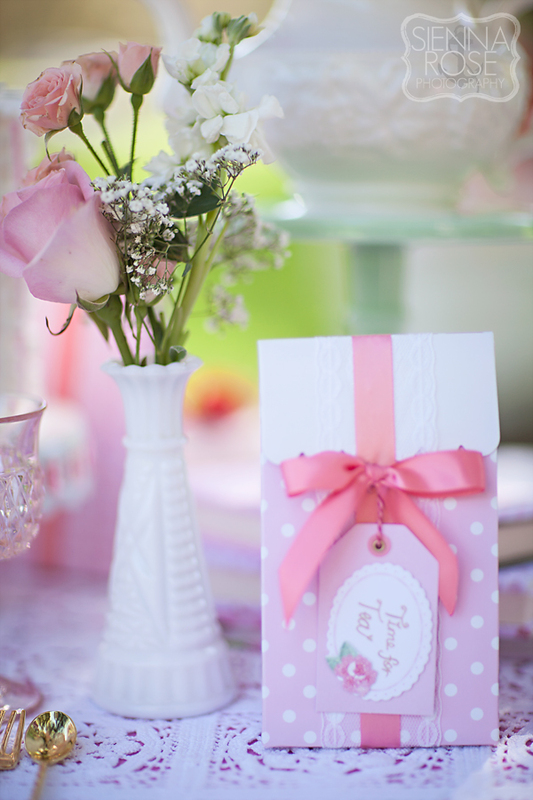 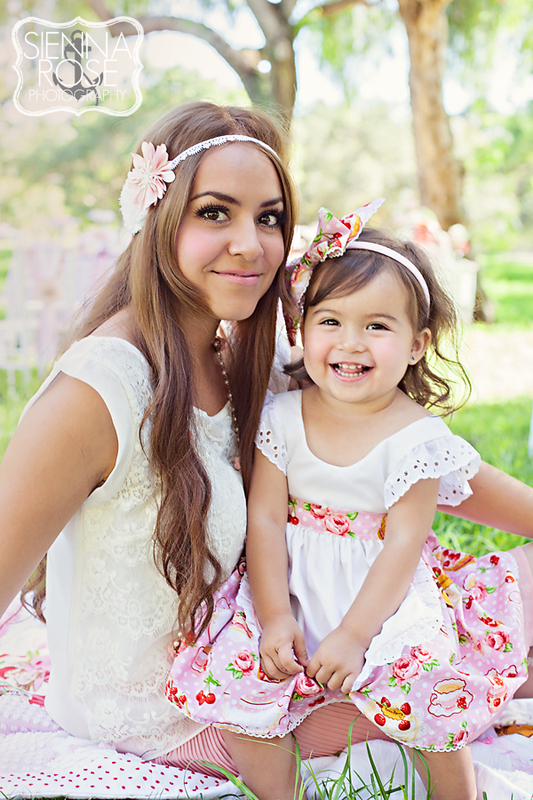 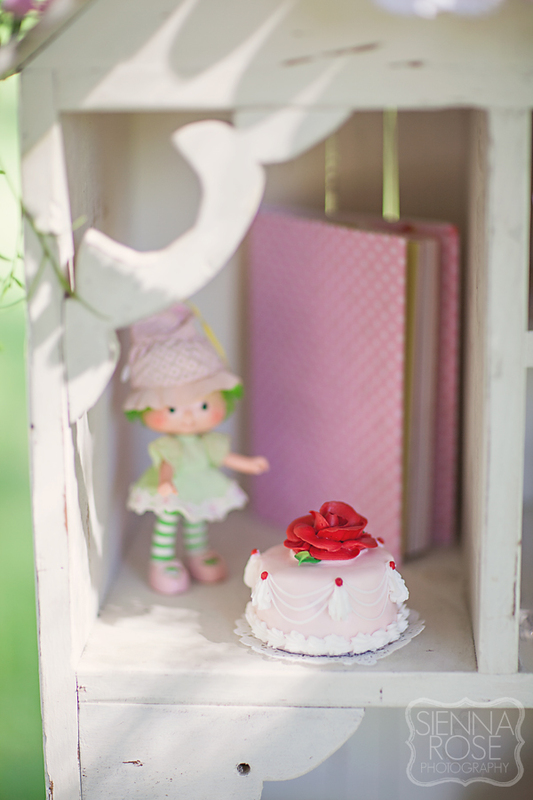 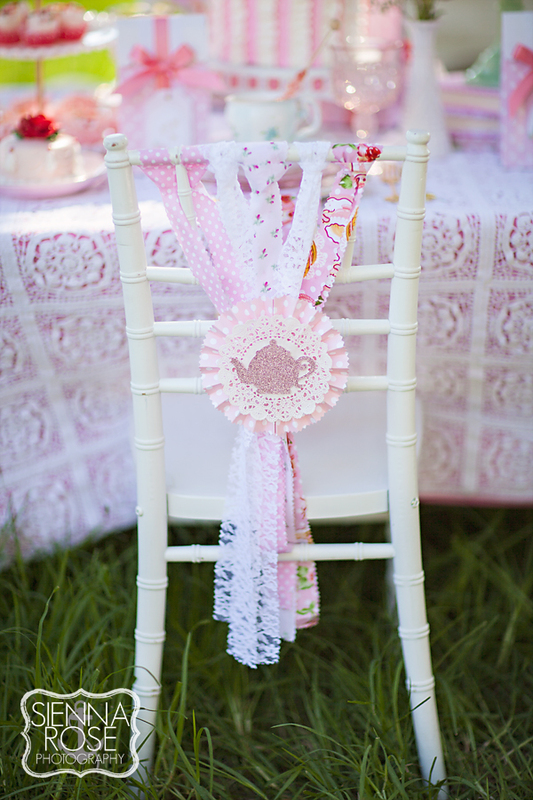 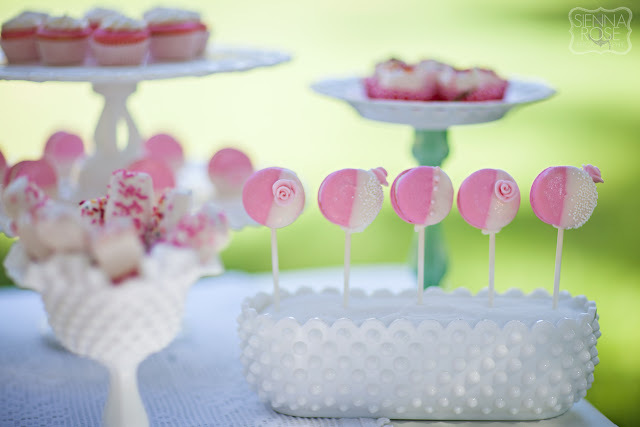 Decked out to the nines, the tablescape itself is straight out of every little girl's dream. 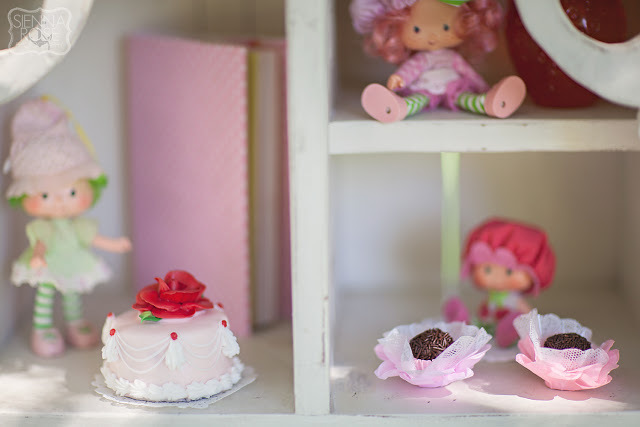 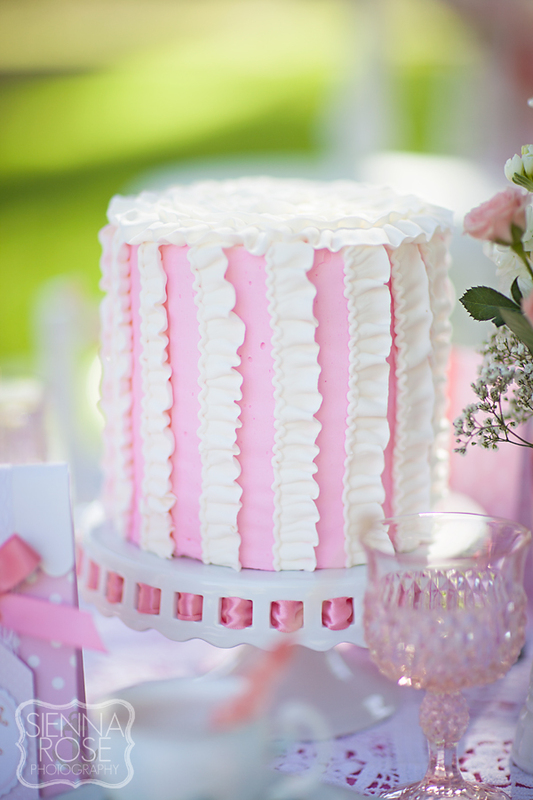 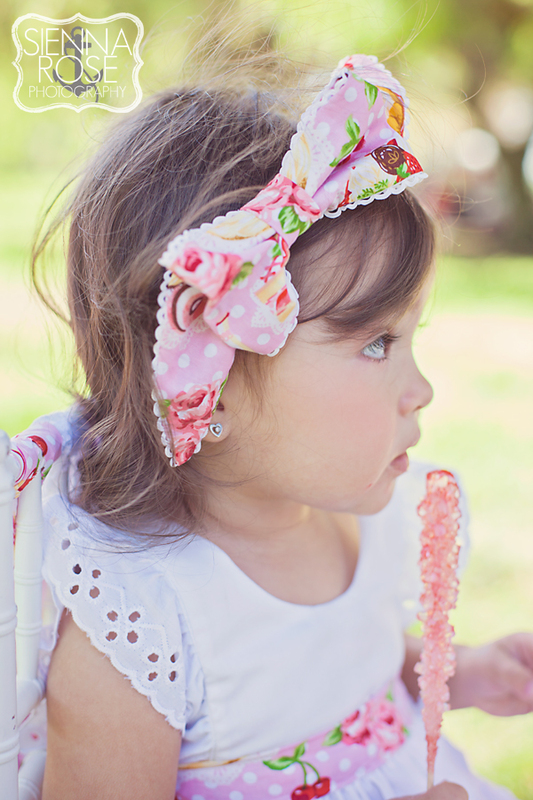 As I was browsing around searching for inspiration for McKenzie's first birthday party, I luckily stumbled upon The Frosted Petticoat, a "must save" to your bookmark's bar! 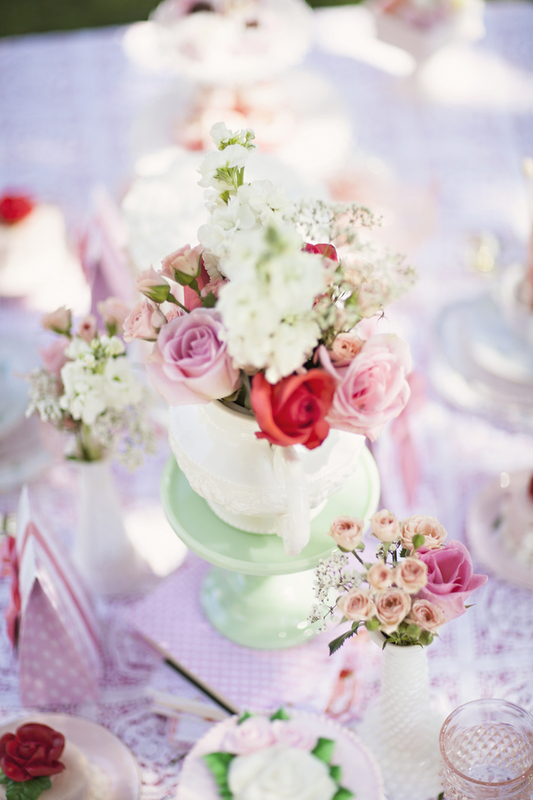 This massive explosion of classic vintage chic filled my screen and I didn't want it to end! 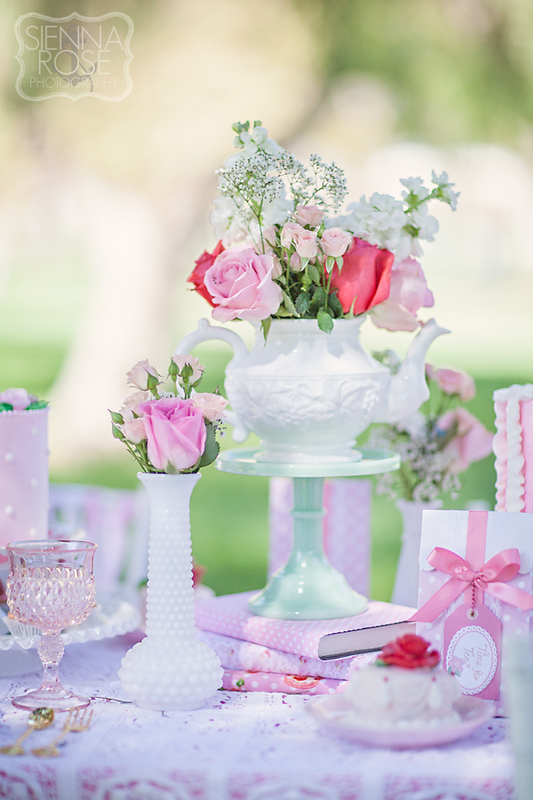 I LITERALLY didn't want it to end, so I hopped over to the talent that captured each detail so beautifully, photographer Brianna Muniz from Sienna Rose Photography. 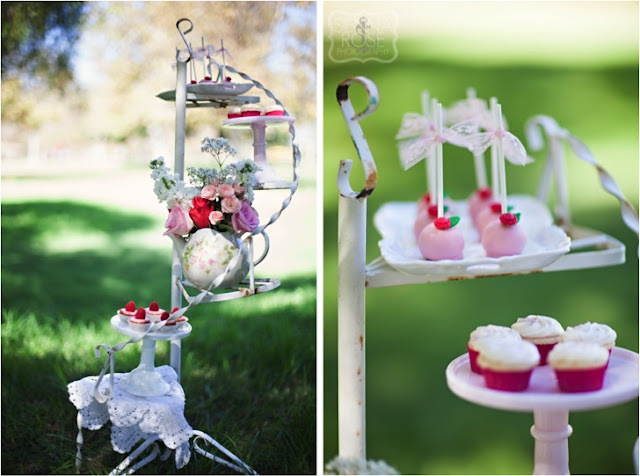 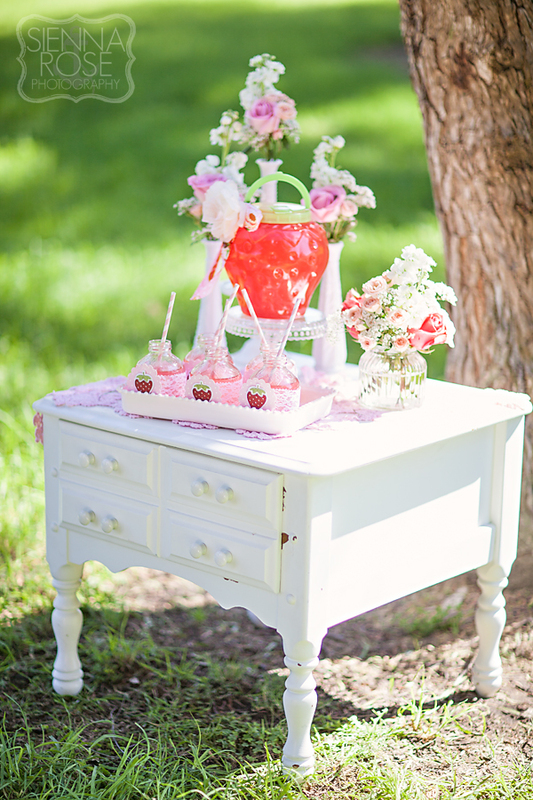 Brianna was chosen to bring this special occasion to life by Aracely, owner of Minted and Vintage Dessert Stand Rentals. 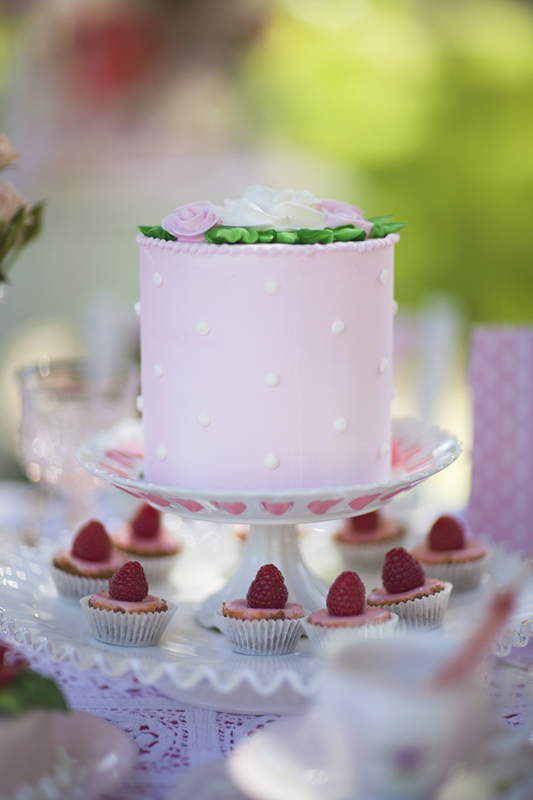 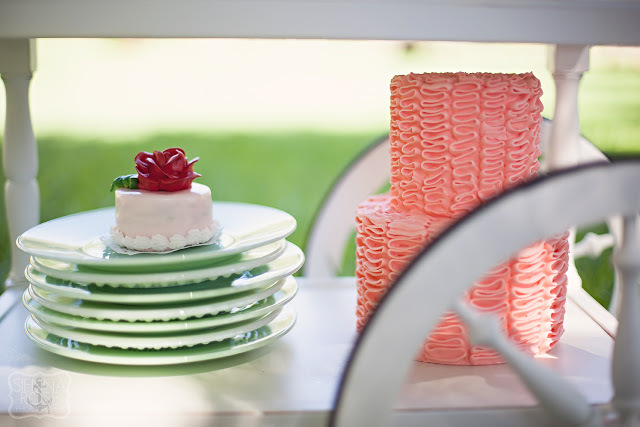 With Aracely's perfectly designed arrangements of vintage rental pieces displaying the stunning sweets from several bakery shops(see credits below) and her beautifully assembled florals, the stage was set for her adorable daughter's 2nd birthday party. 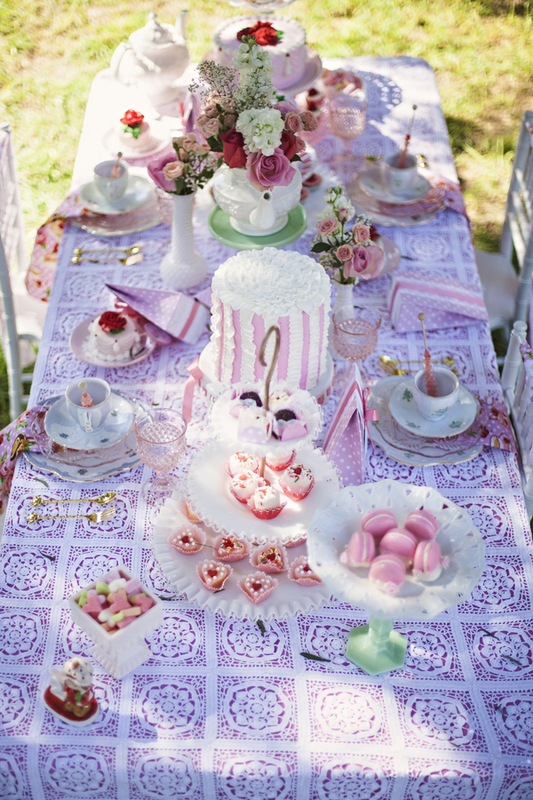 So put on your lace gloves and hold up your pinkies because this is a decadent affair!